Joy Division bass player Peter Hook is heading back to Australia with a whole new way of hearing the band’s legendary tunes- with a full orchestra. 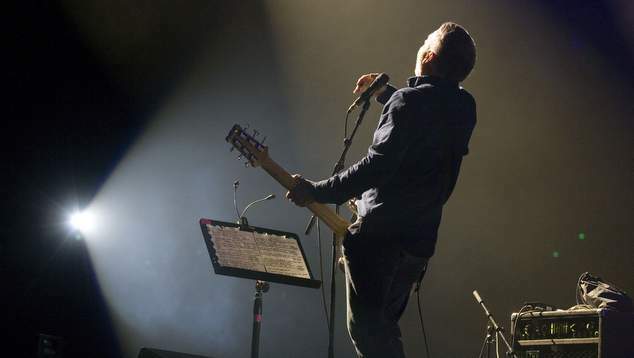 Peter Hook – Joy Division Orchestrated featuring The Metropolitan Orchestra will be touring Australia in August. They’ll begin in Sydney with a show at the Opera House on Friday 2nd August, before heading to Adelaide on Saturday 3rd August for a performance at the AEC Theatre, they’ll be in Brisbane on Tuesday 6th August at the Brisbane Entertainment Centre, before heading to Perth on Friday 9th August to perform at the Perth Concert Hall. Finally they’ll play a show in Melbourne on Sunday 11th August at the Plenary Theatre. Across their two LPs and singles, all produced by Martin Hannett for Factory Records, the band’s landmark tracks are to be featured in “Orchestrated”, including from the band’s debut album considered by many the finest debut release by any group. Peter Hook shared his excitement about returning to Australia with a new way of appreciating Joy Division. Source: Media Release, image: Peter Kaminski © Copyright 2017 All rights protected.